It’s that time of year again for the International Society of Scratchboard Artists to hold their annual exhibition, this time in Maryland USA. 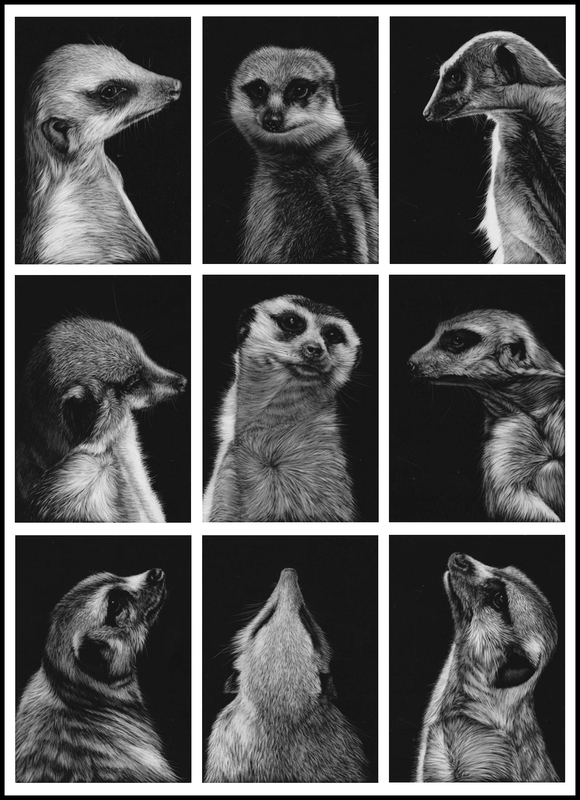 I sent two pieces over from Australia, entered into the Masters category and am delighted to say that for the second year running I won the “Silver Award”, this time with my Meerkat Montage, below. This is a real honour because I am exhibiting next to some of the world’s greatest scratchboard artists – in fact some of the finest artists in the world full stop. It’s always a great show for the public and artists alike. I attended the 2012 show in California where artists gave workshops and demonstrations and I certainly learnt a lot. In this post I’m adding a few pieces of recent art below, both pastels and scratchboards. 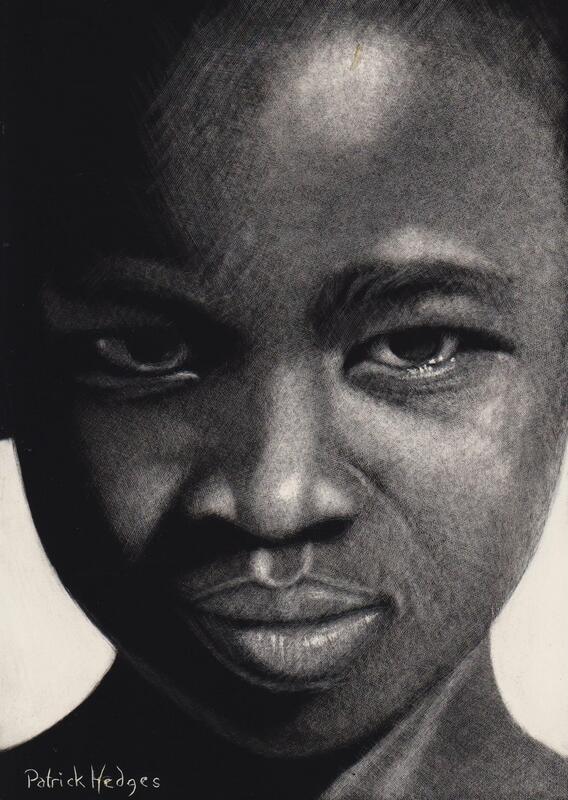 This first scratchboard of a Namibian girl (from one of my trips to Africa) is completed entirely with the use of tattoo needles. Here we have a meerkat created with an airbrush and the fibreglass brush I use so much, a great tool for creating a soft look. 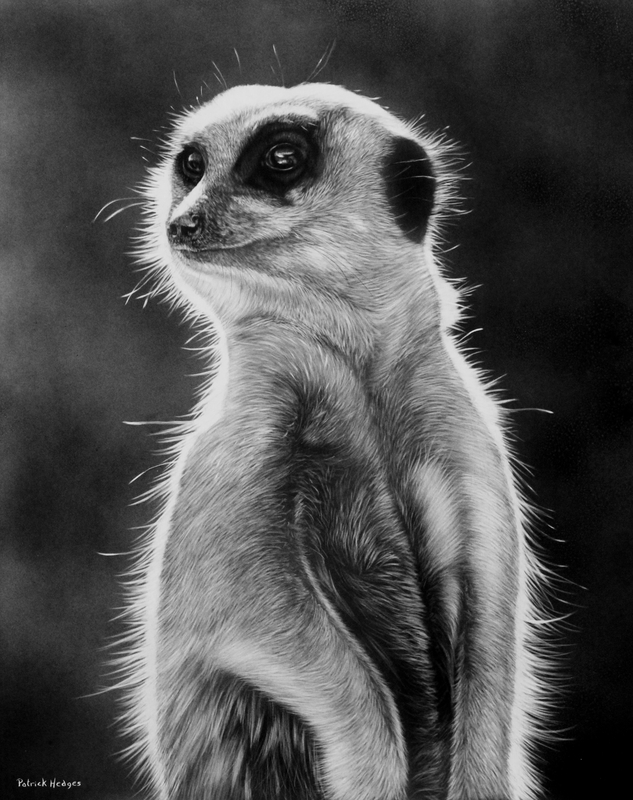 I was particularly drawn to the backlighting from one of my photographs of meerkats at the Adelaide Zoo. I started out with a white board. Normally I use black boards where black India ink has been sprayed onto the clay by the manufacturer but you can also buy clayboards where you put the ink on yourself. Perhaps an unusual subject for me, done again with tattoo needles. 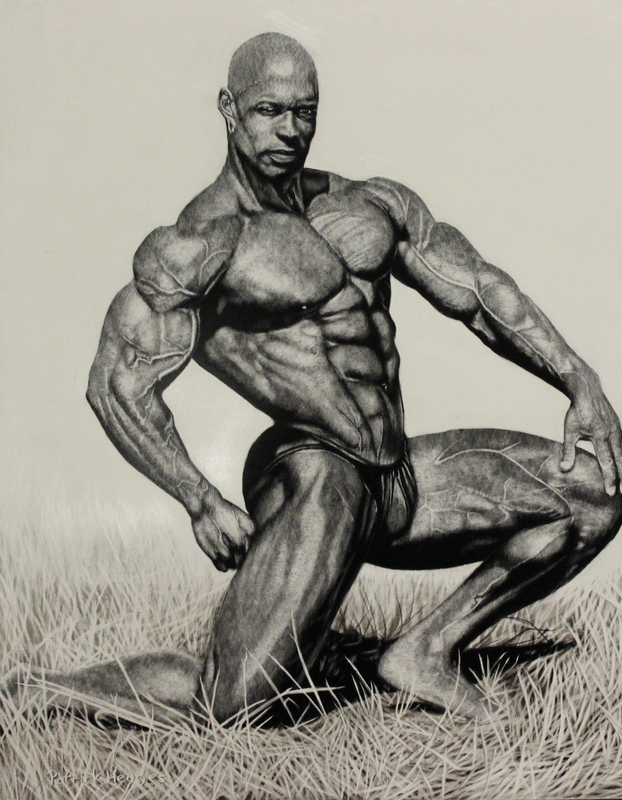 It was a birthday present for my bodybuilder son and is of Shawn Ray, one of the world’s best ever bodybuilders. With this group of zebras in scratchboard, I’ve tried to use composition as a tool to tell a story. I’ve cropped them closely and called it “Our world is closing in” in reference to the fact that, even in Africa, the game parks are being encroached on by such massive human population growth that even relatively common animals like zebras are being driven further and further away to escape those pressures. The zebras are drinking in a formation where they can still see the dangers around them which can be an analogy for this world that they are being forced to live in. This is a pastel of a backlit zebra and following that a pastel of a meerkat, both quick studies for larger works to come later. 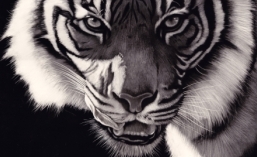 This entry was posted in General Art, Pastel and CP blogs, Scratchboard Blogs. Bookmark the permalink.